While most of you are outside having fun with family and friends today, the Black Friday deals get underway, with some lasting through the weekend. In addition to the Patagonia Black Friday deal we wrote about earlier this week, below you will find a few other good ones we spotted for you. 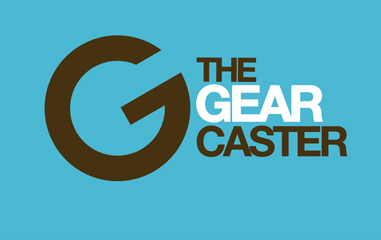 If you know exactly what piece of gear you want, click on the Gear Search Tool link at the top of the page to find the best price from hundreds of retailers. For example, you can currently get a Garmin Edge 1000 for as low as $374.99 (retail $599) from Performance Bike. Cotopaxi is having a great deal where if you spend $100, you get a free Luzon Del Dia pack. Buy a bomber jacket (one of my favorite pieces) for someone on your list and you can add the pack to their Christmas stocking for free. If you have a rock climber or a mountain biker on your list, head on over to Five Ten where they currently have 20% off pretty much everything. For the gym junkie or athleisure lover, Under Armour has quite a few items at 25% off. If you have someone who regularly trains or hits the trail every weekend, they could be a good contender for The Feed subscription box. This week, The Feed features 20% off all of their best selling products. Stio makes great urban-to-trail apparel for the fashion-conscious outdoor enthusiast on your list. And if you really want to make a mountain biker happy, there is still time to get a great deal on frames and bikes over at Competitive Cyclist.